The plant pleiotropic drug resistance (PDR) family of ATP-binding cassette (ABC) transporters has been implicated in the transport of antifungal agents. In this paper, we provide an analysis of the entire family of PDR genes present in the Arabidopsis thaliana (L.) Heynh. genome. 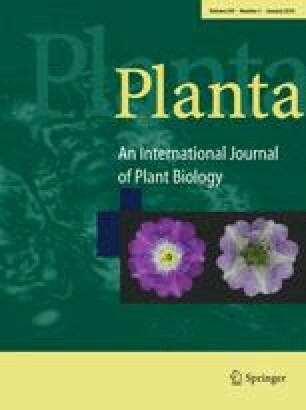 This analysis both resolves discrepancies in published inventories of plant ABC proteins and provides an expression analysis of all the annotated Arabidopsis PDR genes. The results indicate that the Arabidopsis genome contains 15 genes encoding PDR proteins and that these genes show a spectrum of specific expression patterns, both at the organ level and in response to various hormonal, environmental and chemical factors. These data provide a scaffold for the future molecular genetic analysis of this important family of ABC transporters. In addition, we demonstrate the usefulness of such data by using them to identify an Arabidopsis PDR protein that may play a role in the extrusion of the antifungal diterpene sclareol. Electronic Supplementary Material is available if you access this article at http://dx.doi.org/10.1007/s00425-002-0889-z. On that page (frame on the left side), a link takes you directly to the supplementary material.